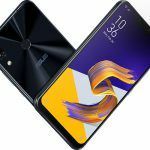 Two of the most popular handsets that Taiwanese electronics giant ASUS launched in India last year were the Zenfone Max Pro (M1) and the Zenfone 5Z. 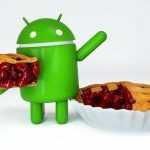 Even though these phones have been around for a while, there is still considerable interest around them – especially the Zenfone 5Z. The Max Pro (M1) as you might be already aware, has since then been replaced by the Zenfone Max Pro (M2). 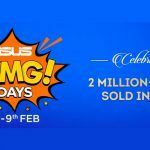 Anyway, the reason you’re reading about these ASUS handsets is that the company has just announced a major limited period price cut for the Zenfone Max Pro (M1) and the Zenfone 5Z on Flipkart as part of a new promotional event called ‘ASUS Days’. 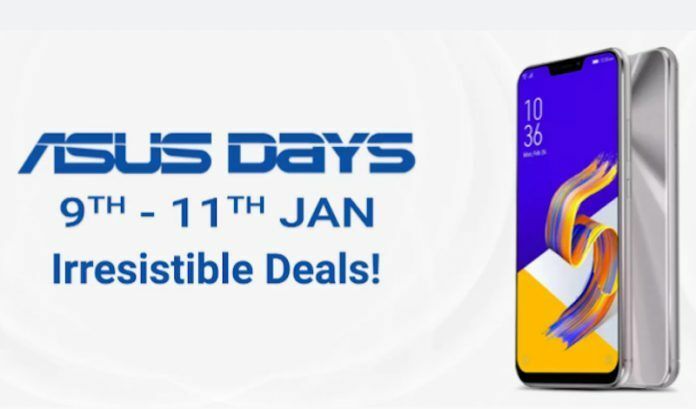 The slightly older Zenfone Lite (L1) and Zenfone Max (M1) are also available as a part of this ASUS Days campaign. Apart from slashed prices, prospective customers can also avail EMI offers for handsets from ASUS’ entire Zenfone range. Let us now take a closer look at what these offers are. The first handset that we shall talk about is the ASUS Zenfone Max Pro (M1) which as you already know is available in three versions. 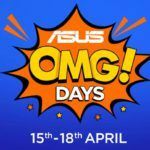 As part of the ASUS Days offer, you will be able to avail a discount of up to INR 1000 on each of these versions. This effectively means that the 3/32GB version of the phone will be available at an effective price of INR 8,999 (instead of INR 9,999). Similarly, the effective prices for the 4GB/64GB version have been reduced from INR 11,999 to INR 10,999 while the top of the line 6GB/64GB variant that went for INR 13,999 will now be sold for INR 12,999. These discounted prices aside, all three variants are also available with no cost EMI payment options. Additionally, users can also avail ASUS’ Complete Mobile Protection package worth INR 799 for just INR 99. 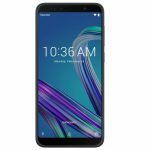 ASUS’ budget flagship device the Zenfone 5Z is arguably one of the best smartphones in its category. While the launch prices of the Zenfone 5Z were already attractive, if you buy the handset during as part of the ASUS Days promotional event, you can save up to INR 8,000. For example, as part of this offer, you can buy the 6GB/128GB version of the Zenfone 5Z for INR 24,999 as opposed to the original price tag of INR 32,999. Additionally, you can also buy the top of the line 8GB/256GB version for just INR 28,999 as opposed to the actual MRP of INR 36,999. Apart from these slashed prices, you can also avail the 3 and 6 months EMI options on this handset as well. ASUS’ Complete Mobile Protection package is also available for the Zenfone 5Z for INR 399 as opposed to the original price of INR 2499. ASUS also launched two affordable devices priced under 10k earlier this year. These handsets included the Zenfone Lite L1 and the Zenfone Max M1. As part of the Flipkart ASUS Days offer, the Zenfone Lite L1 that sold for INR 5,999 will be sold for INR 4,999. As for the Zenfone Max M1, while it does not get a price discount, you can avail the no-cost EMI payment option with this device. Both these handsets can also be bought along with ASUS’ Complete Mobile Protection package with the package costing just INR 9 for the Zenfone Lite L1 and INR 99 for the Zenfone Max M1.